The level of detail in some paper models is simply amazing. 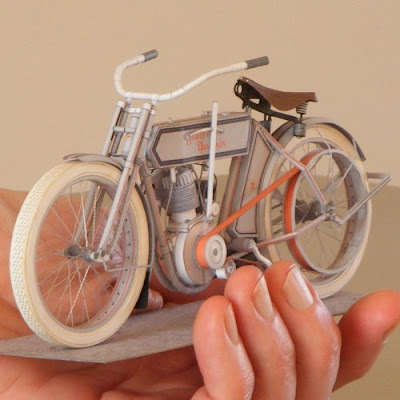 Take this papercraft scale model of a 1911 Harley-Davidson Model 7 for example. The Model 7 was an intermediate design that bridged the gap between the first motorized bicycles and the modern motorcycle. 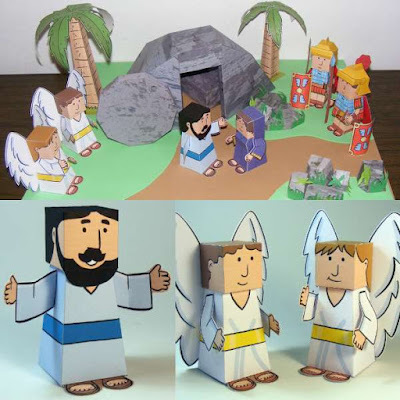 A free printable PDF template and instructions for the model may be downloaded here. In case you were wondering, the spokes in the wheels are made of sewing thread. As the instructions indicate: "This kit is not intended for beginners!"